This is a cushaw. It’s the ultimate Southern winter squash. They were brought to the Chesapeake and Tidewater from the Caribbean and Latin America in the late 18th century and were made popular among enslaved people after their introduction from Jamaica. Also known as the sweet potato pumpkin, cushaw was grown as a sweet potato substitute until the crop came through. It stores well and keeps for months, it’s also delicious and was one of the hallmarks of the foodways of enslaved African American households. Moschata pumpkins in Cuba 2014 (thanks Mike Beall). 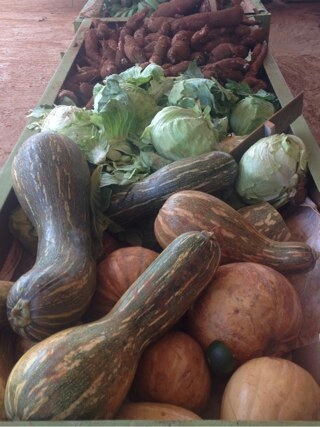 Note the sweet potatoes , cheese pumpkins and cabbages…same as Virginia in the 1700’s. 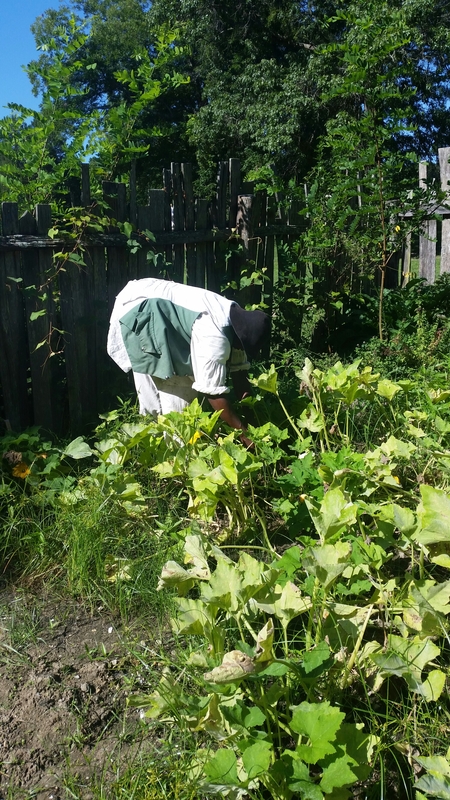 Fellow historic chef, Harold, harvesting a cushaw or sweet potato pumpkin in Williamsburg, Virginia, 2014. Mix salt, pepper and other spices together. Mix gently and allow it to combine for 30 minutes or more. Vegan option: use grade A maple syrup or light agave in place of honey. Don’t remember ever seeing this in Mississippi in the 70’s. But then many of the blacks planted what they could eat as well as sell to the white folk. It may have been there and I would have never seen it. You see it in MD, VA, NC, TN, LA and TX. 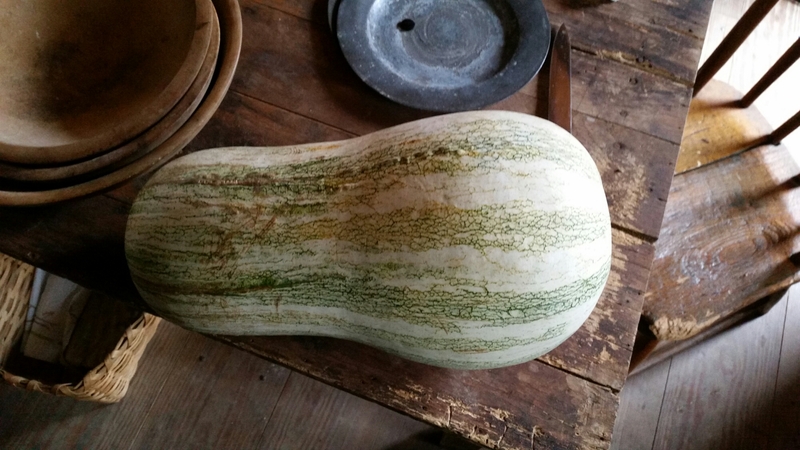 Cushaw was grown in Mississippi as an item that could be stored longer, but mostly in rural areas where refrigeration wasn’t widely available and foods had to be ‘long-keepers’ or easily canned. It wasn’t common to see it even in the farmers’ market during my childhood but my mother was thrilled on the occasions she did find it–her parents pastured cattle and always had a huge garden to feed their four children. She grew up eating it regularly. You should have seen her joy the day she was able to find “chitterlings” in the grocery store….something else she relished eating but couldn’t find in the ‘big city’.